Hey, all. Travis here. I’m very sick with the flu (never marry a school teacher if you abhor getting sick regularly! 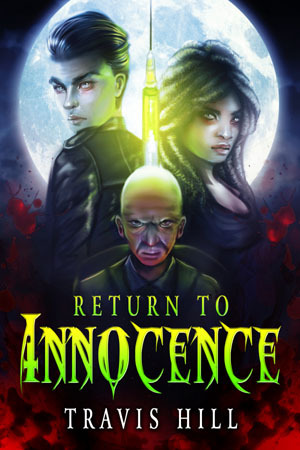 ), but thought I would update and let everyone know that “Return to Innocence” is live @ Amazon. It’s my first “vampire” story, and I hope everyone likes it (and I hope no one is expecting “Twilight” style of vampires because my vampires are a bit darker than that). If you are a KindleUnlimited member, or an Amazon Prime member, you can borrow the book for free. Otherwise, it is $2.99. However, if you contact me, I will give you a free copy, saving you $2.99 (and the rage of spending $2.99 on a terrible story!). Return to Innocence – vampires! Many thanks to Rebecca Weaver for the awesome cover!